Located in a national park, this family-friendly resort is 0.1 mi (0.1 km) from Death Valley National Park and 4.6 mi (7.3 km) from Zabriskie Point. Situated in Death Valley, this motel is 8.1 mi (13.1 km) from Death Valley National Park and 14.7 mi (23.7 km) from Ash Meadows Visitor Center. Situated in a national park, this motel is steps from Death Valley National Park and Panamint Dunes. Darwin Falls is 4.1 mi (6.6 km) away. It was like staying in a resort with easy access to swimming pool and many recreational activities like tennis, basketball, etc. 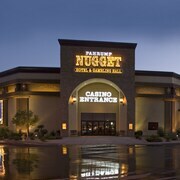 Good restaurants within the property and many attractions are nearby. 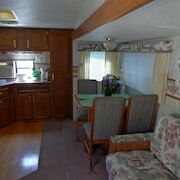 You get to see most of the attractions and also relax. Very unique place to stay. Old historic hotel not a lot of amenities, remote but a wonderful experience. Will stay here again in the future. Which hotels are closest to the Death Valley airport? Where to stay near top Death Valley attractions? What kind of hotels are in Death Valley? Which hotel chains are in Death Valley? Nature enthusiasts will enjoy exploring Death Valley, and visitors give high marks for the top-notch restaurants. Tourists who journey to this scenic city can discover its riverfront, cafés, and local tours. In Death Valley, there are 5 hotels and other accommodations to choose from. The desert, hiking trails, and riverfront highlight the city's natural beauty, and Devil's Golf Course, Death Valley National Park, and The Devil's Speedway are worth a visit. Taking local tours is one of the top activities, while Telescope Peak trail, Furnace Creek Golf Course, and Daylight Pass are favorite sights to visit. 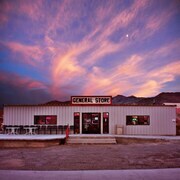 A couple of additional sights to add to your agenda are Goldwell Open Air Museum and Geologist's Cabin. 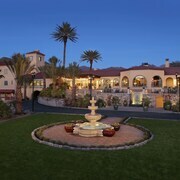 The Inn at Death Valley - This 3.5-star hotel features a restaurant, an outdoor pool, and free WiFi. 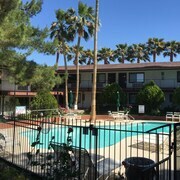 It's a favorite with Expedia travelers for its pool and convenient parking. 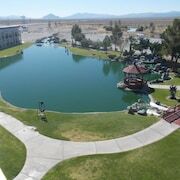 The Ranch at Death Valley - Our customers like the family-friendly amenities and breakfast at this resort. 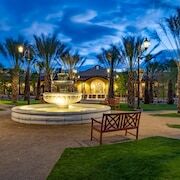 With a stay at this 2.5-star resort, guests can enjoy access to a golf course and a restaurant, along with free WiFi. 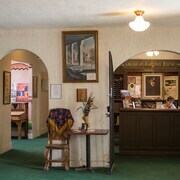 Amargosa Opera House - Amenities at this 2.5-star motel include free parking and a café. Expedia customers like its breakfast and comfortable beds. Are there hotels in cities near Death Valley? Explore Death Valley with Expedia.com.au’s Travel Guides to find the best flights, cars, holiday packages and more!